vashj’ir | That Was an Accident! I guess I’ll have to get Niremere to 80 to find out. 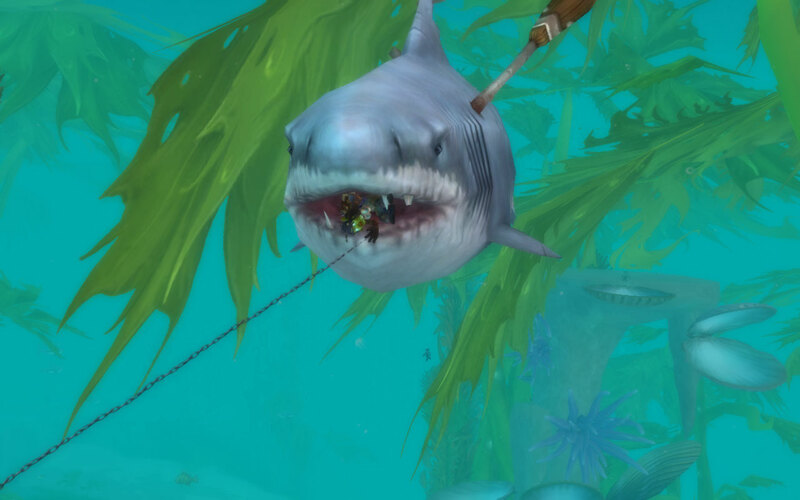 Despite having done Vashj’ir two times before, this just now occurred to me. I will have to investigate further. 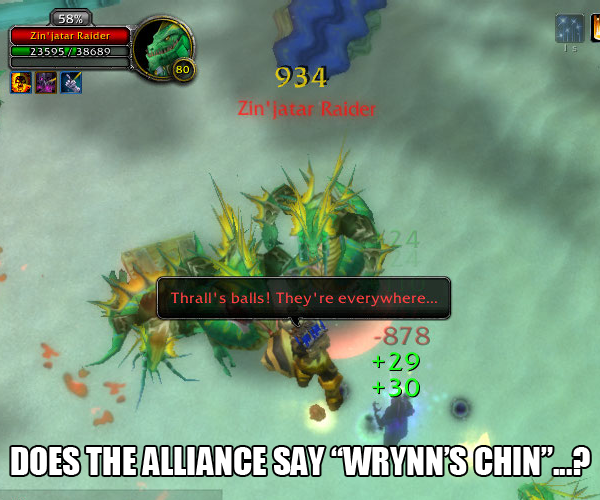 “By the Chin!” would also be an acceptable Alliance exclamation when being swarmed by Naga. I also finally realized just what bugs me about Varian Wrynn’s model – they gave the poor guy jowls. 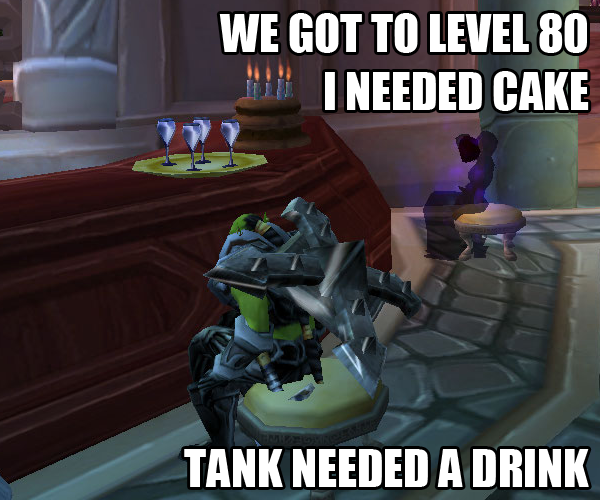 Thank you for tanking all the darn time, Tab. You’ve got the instaqueue magic, and you don’t get mad at me when I get a little trigger happy and Mind Flay that mob across the room that you totally haven’t pulled yet. You pull the monsters off me when I use Mind Sear a little too soon. 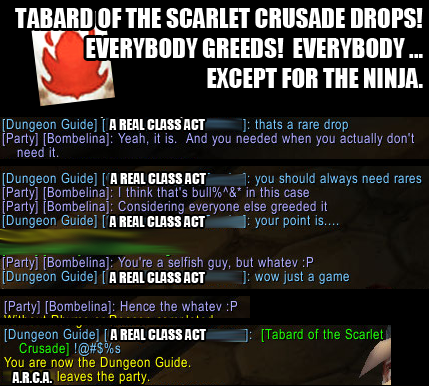 You also don’t abandon me to crappy Dungeon Finder parties! 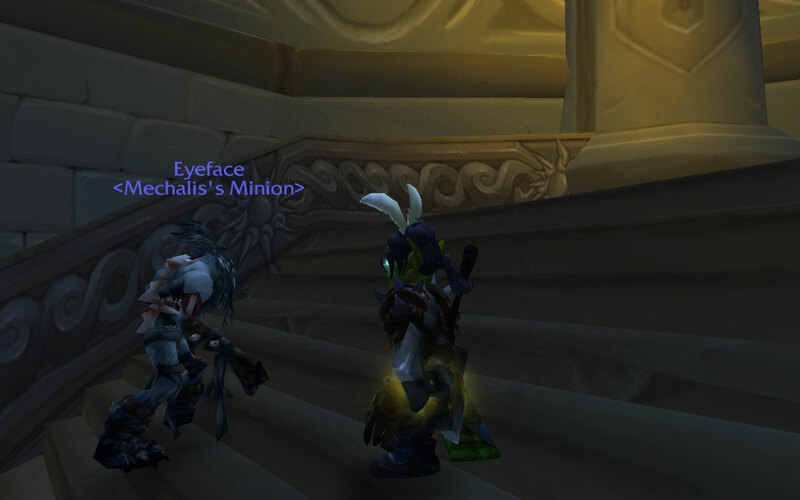 You stand by me even when I queue for ninety million dungeons in a row. When using Arcane Blast, I insist upon running in circles around the enemy. It just improves the entire experience! Isn’t level 4 a little early for this? We’re spatially efficient. We’re compatible with gravity. We’re also very necessary, for without the short people and the tall people (Tauren), blood elves would be unable to recognize their own perfection for lack of comparison. Gawd, your standards are so lootist. 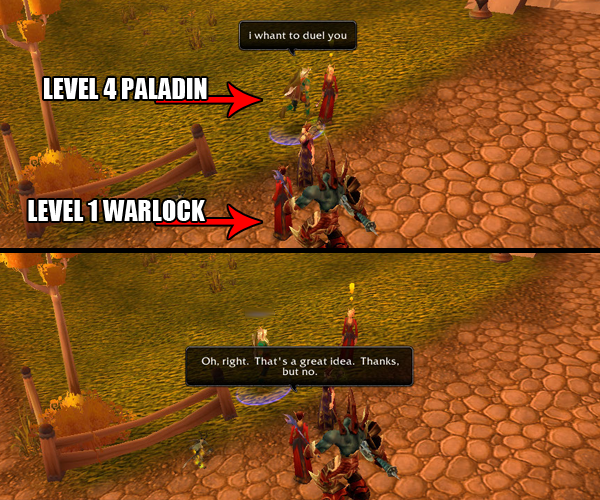 I know that there is no point to making a point on the Internet (or in an MMORPG). And yet I still can’t shut up! I’m such a lootist. 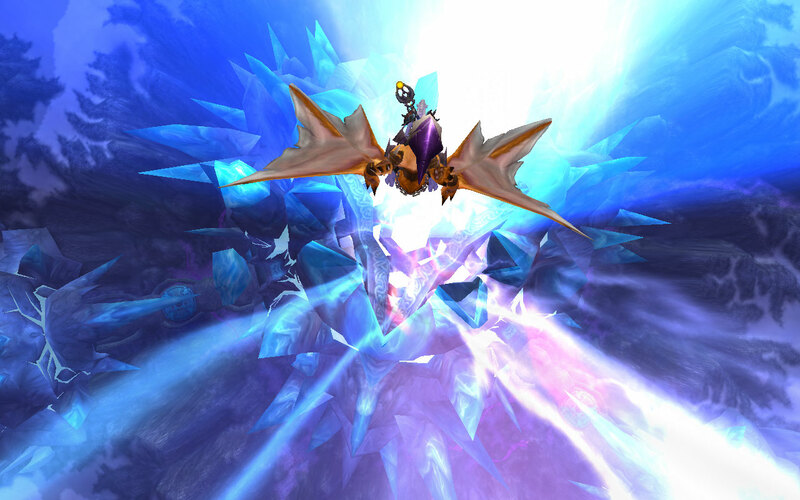 This entry was posted in Ailabeth, Bombelina, the Former, Esplodine, For the Horde, Baby!, Forsaken, Goblins, OMGWTF, World of Warcraft and tagged ailabeth, blood elves, bombelina (the rogue alt), dungeon finder, esplodine (formerly centina), forsaken, goblins, mage, maybe someday will be better, mechbeth tries again, priest, varian wrynn, vashj'ir, world of warcraft on August 15, 2012 by Prinnie Powah. If only I could remember where the Shiny is. 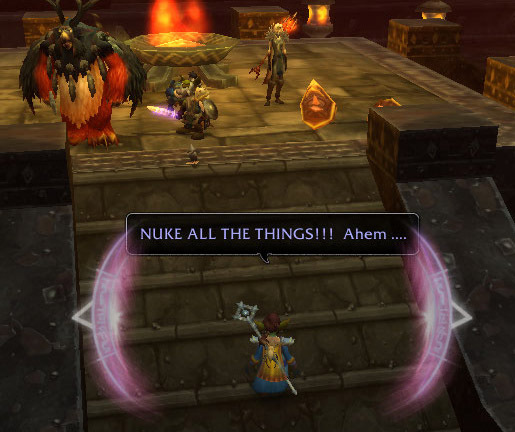 Documented evidence of Eyeface’s unlife before his squashing by King Krush. Why isn’t Budd getting eaten alive? This was his idea! It hardly seems fair. For some odd reason, only Sunblood wanted to attend. 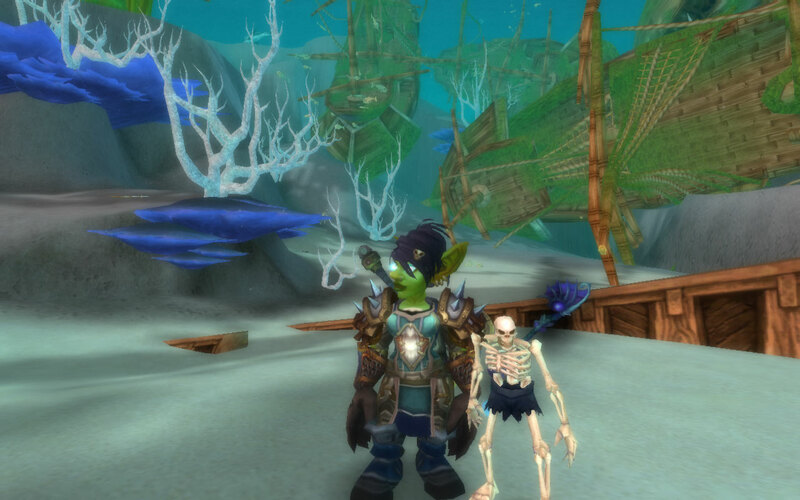 This entry was posted in For the Horde, Baby!, Goblins, Mechalis, Oh Sheeyit Screenshots, OMGWTF, Versebelg, World of Warcraft and tagged bored out of my gourd, darkside of whimsical, death knight, eyeface, goblins, guild, mechalis, screenies, shiny, vashj'ir, versebelg, world of warcraft on May 9, 2012 by Prinnie Powah.